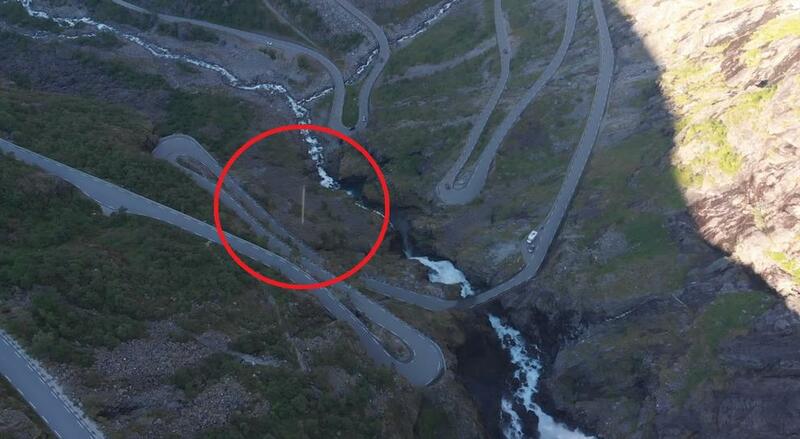 A UFO was caught on video by a drone over Trollstigen, Norway or as some people are calling it, a "Fastwalker". The term "Fastwalker" is used by NORAD and branches of armed forces as slang for an unidentified aerial phenomenon that moves and changes direction at a speed so high it is beyond anything current aerospace technology is capable of. The footage was taken by a drone over a network of winding roadways and could possibly show a Fastwalker. The object is traveling so fast that it is nearly imperceptible to the naked eye at normal speed but if you slow down the footage, you can see an elongated shape dart across the screen in only one or two frames. There is no conventional technology that could travel that distance in such a short period and for those who will say its a bug, there is no way a bug is moving that fast. As to what exactly the object is no one knows, not even the drone pilot who took the video. The video was uploaded to YouTube by a user named Jesper Adolfsson who claims to have taken the video with his drone. Social media causes braindamage. Ufo for nano-aliens?